One of the fist things you need to do in your project is add team members to it. 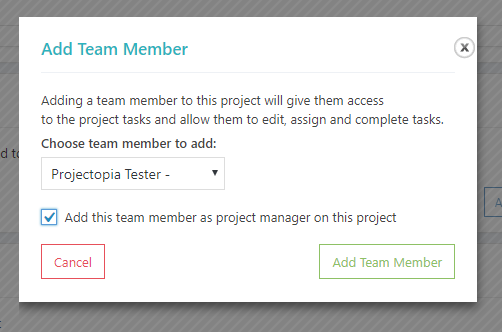 Adding team members allows you to choose those users to assign your tasks to, and it will grant access to team members who are only allowed to view projects that they are assigned to. 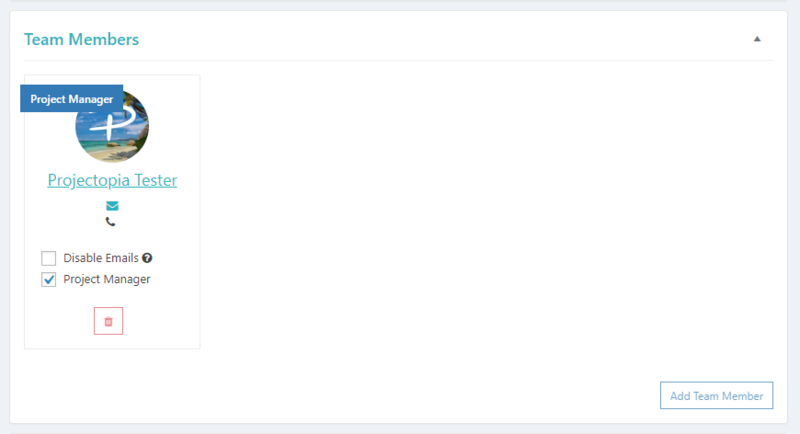 To add a team member to a project, open the project in the admin side and look for the Team Members metabox. Click Add Team Member. Choose which team member you want to ad to the project. You can also choose to make this team member a Project Manager. While this doesn’t give the team member any extra permissions, it show other team members who is the desginated project manager on this project. Click Add Team Member and the user will be assigned to the project.